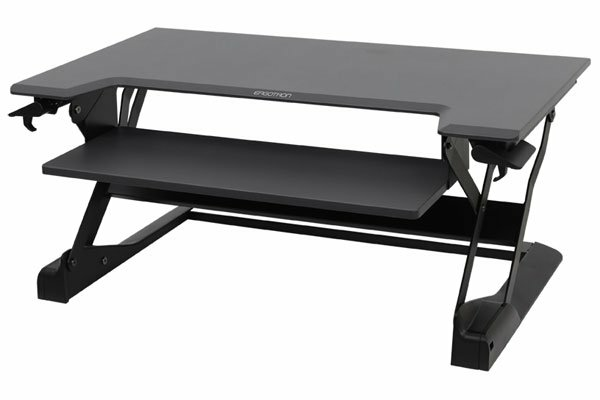 Presenting an ultra easy standing desk solution, which quickly converts a tabletop into a healthy sit-stand workstation. Simply place the WorkFit on an open surface, stand up and you’re ready to work! 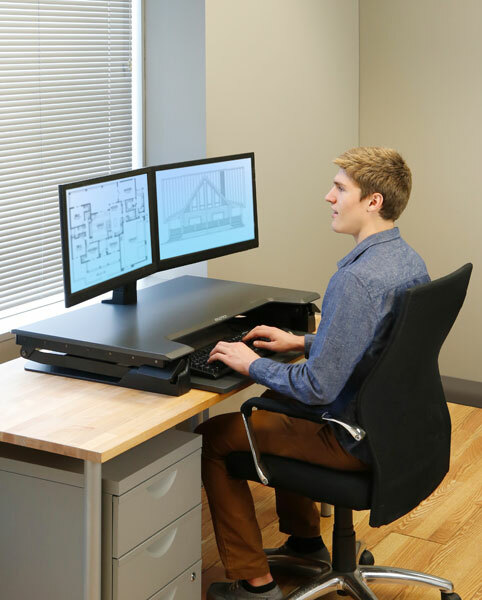 WorkFit features a larger keyboard tray and wider work surface. Like the smaller WorkFit, it saves space because it moves straight up and down, always staying within the footprint of your desktop. 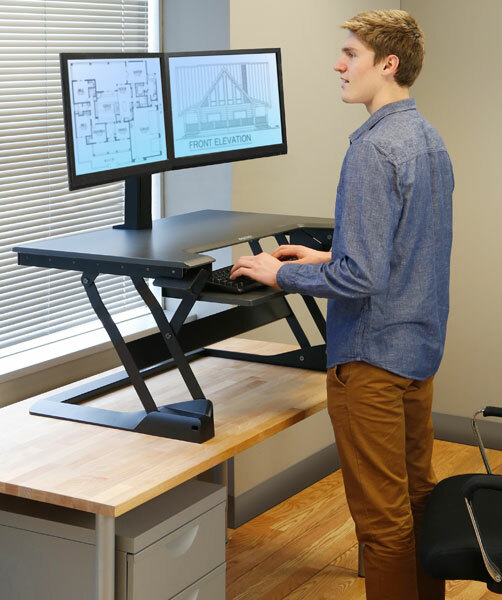 Extremely stable throughout its range of motion, one can freely lean on it while working without worry of tip or height-drop.